Brahmi vati - one of the most famous Ayurvedic medicines. 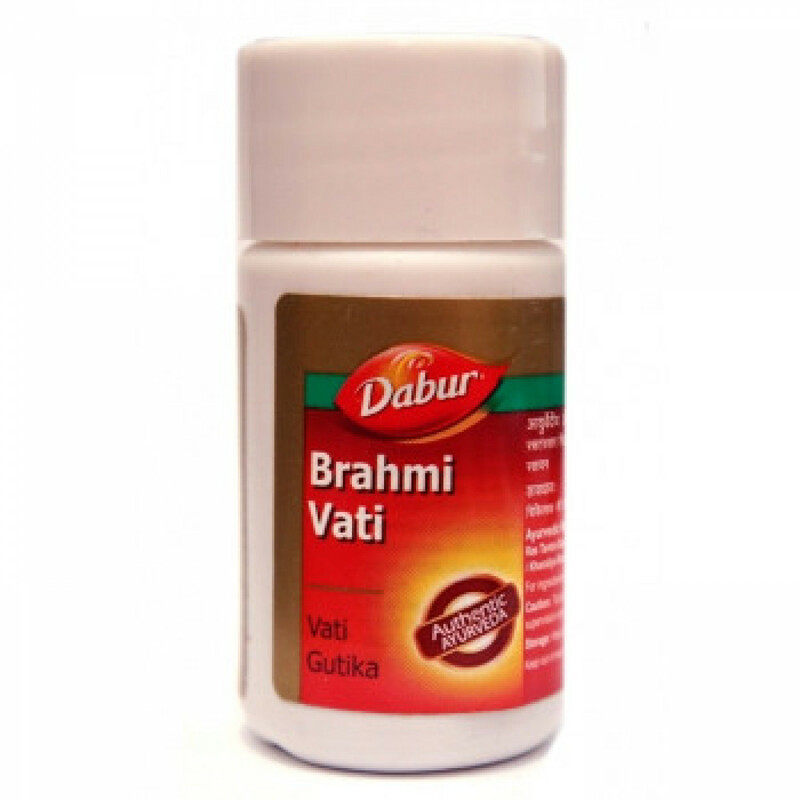 Brahmi vati improves memory, increases longevity, slows aging and gives power in old age. Strengthens the immune system, cleansing and nourishing it, as well as strengthens the adrenal glands. At the same time, it is – a strong blood purifier remedy with specific action in chronic skin diseases, including leprosy, syphilis, eczema and psoriasis. Brami - native Indian plant and is probably the most important anti-aging agent in Ayurvedic medicine. This is the primary means to stimulate and strengthening nerve and brain cells. Brahmi contains alkaloids brahmin, hypersthene, saponins and Menarini. It improves the metabolism, it has a cooling, rejuvenating, antipyretic, diuretic and nerves strengthening properties. Contributes to the development of intelligence. Used in Ayurveda in the treatment of asthma, crackling, mental disorders, epilepsy, also, is potentially a nerve tonic and cardiotonica. A good diuretic. Acts as a sedative. Also, reduce anxiety in children, used for mental concerns. Brahmi vati helps to establish a balance between the left and right hemispheres of the brain. Also, Brahmi is considered in Ayurveda effective means to restore hearing. Recommended to pass the course Brami to boost mental health restore memory and increase life expectancy. Indications: nervous disorders, headache, mental stress, loss memory, premature aging, hair loss, some skin disease, cramps of nervous origin, epilepsy, tonsillitis, sinusitis, frontal sinusitis. Dosage: 2-4 tablets twice a day. Original name: Brahmi vati, Dabur tab 80. 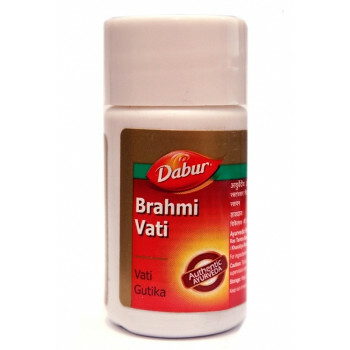 In our store You can buy authentic Brahmi vati, 80 tab Dabur at a bargain price!